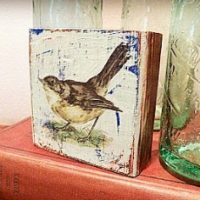 Today’s reader feature is from Gayle who blogs over at Gustav and Gayle. 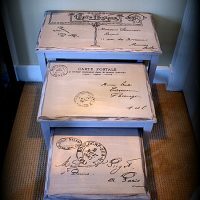 She bought a brown cigar box at a thrift store and painted it white and antiqued it. 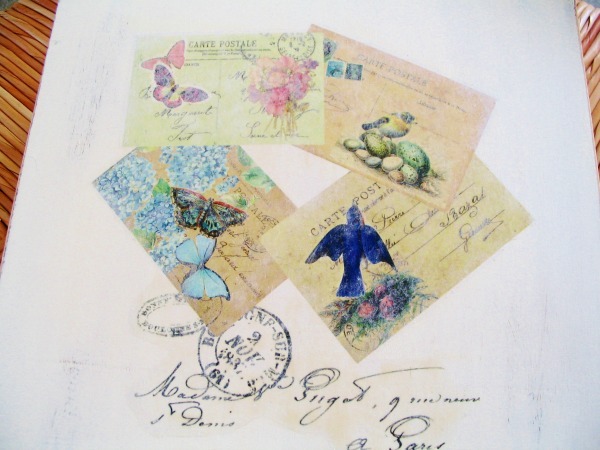 She then created four Carte Postale layered images, printed, and transferred them onto the top of the box, over a French postal graphic she’d already transferred. 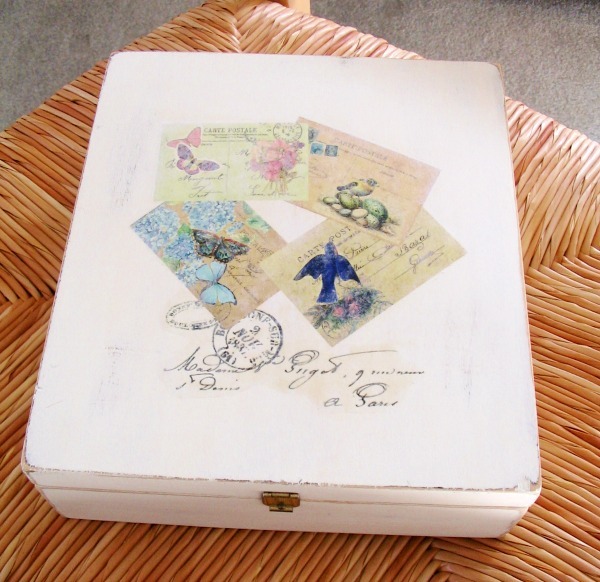 She used modpodge to finish it off and ended up with this beautiful DIY Vintage Cigar Box. 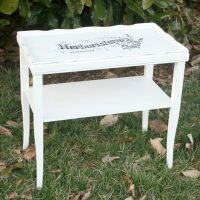 For more fun projects and a tutorial of this project, visit Gayle’s blog, Gustav and Gayle.